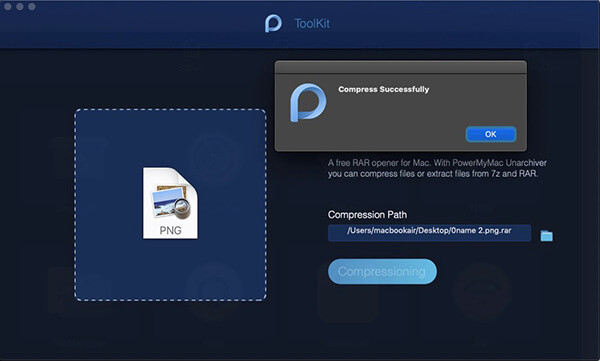 Are you new to compressing folders on Mac? Today we will find out everything there is to know about how folder compression works, how to process it, why it is important and what are the best ways to efficiently and easily compress folders on Mac. File compression began way back in the 1970s where scientists were searching for ways to reduce file sizes through working with algorithms. Since then, the development of various computing processes and technologies kept on evolving until today. A zip file is an archive format that is supported by lossless compression. It allows a number of compression algorithms which reduces the file size. Today, we can easily locate a zip file because its extension ends with .ZIP/.zip (for multimedia files: application/zip) and with the zipper icon. It was first used publicly by Phil Katz in 1989, in replacement to the ARC compression format made by Thom Henderson. How does compression work on Mac? If you work with data transfers almost every day, files compression could be your ultimate solution for ease of use, size, and transfer time. Just like we mentioned earlier, compressing files takes up lesser disk space, and files can be easily sent and received more quickly. There are two types of compression known today, first is lossless and the next is lossy. Lossless compression is focused more on searching long codes and replaces them with shorter ones and recreates the same exact file. Lossy compression, on the other hand, searches for codes it can delete and mostly used for multimedia files. A file on lossy compression seems to be identical but is entirely different at the code level. Every byte counts if you're short on disk space or when you're sending a large file over the Internet. This is where file compression comes in. File compression has several advantages that users can highly benefit from. Lossless compression, used in zip file technology, can reduce a file to 50 percent from its original size. Some files such as documents can be zipped and reduced to 90% from its original size. Thus file compression saves you a lot of space in your disk and you can use it for more important storage options. If you happen to notice that all your downloads are in kept inside zipped files, this is because it takes a faster time to transfer these data when they are compressed rather than individually. These compressed files use lesser bandwidths (the speed used for network transfers). Using archives or software for file compression can save you lots of money because it reduces the cost of purchasing a new hard drive for more storage. If all files inside your desktop are organized and compressed, you will have more space to use for other programs required by the system. FoneDog PowerMyMac – Unarchiver is a powerful tool you can use in compressing and decompressing files on Mac. This special program has a complete toolkit that works seamlessly to any issues hindering you from getting the most from your device. This software can be anything you need, a Mac cleaner, optimizer, keeper, uninstaller, unarchiver, and many more. FoneDog PowerMyMac – Unarchiver also supports decompressing of files from .RAR and .7z on Mac. Using this tool is so easy! Simply launch FoneDog PowerMyMac – Unarchiverand proceed to Unarchiver under Toolkit. Meanwhile, you can also choose to scan your Mac to check its health status from the main menu. To compress files on your Mac and you got the program installed; all you need is to double-click on the file/s and it will be zipped into .RAR or .72 file format. All files you have compressed and decompressed will have the PowerMyMac icon beside. Compressing files or folders on Mac is so easy because it already has a built-in compression and decompression option which uses ZIP file format. Each Mac has different compression capabilities depending on its processor. Some file compression can take time especially if you are using older models. Macs with faster processors and bigger RAM can compress and decompress files quicker. How to zip a file on Mac? Alternatively, you can use the drag & drop support, by typing ‘zip’ as usual but drop the file/s to compress into the Terminal command. How to compress multiple folders at a time? If you are unzipping a single file, it will have the same file name as the original file but with a number appended. For zip files containing multiple items, the unzipped files will be decompressed and saved in a folder that has the same name as the zip (for example Archive.Zip) but it will be named Archive only. Compressing files and folders on Mac does not need to be intimidating. If you want to practice saving more space and enjoy faster data transfer, you can conveniently use the built-in compressor on your Mac. Otherwise, if you need more tools to keep up with all you need, try FoneDog PowerMyMac. It has all the complete and comprehensive solution! Do you have any concerns regarding compressing your files on Mac? Comment us below!